We want invite you to our 16. Internationalen Bulldog & Friends meeting in June 2019. The meeting was organizate 2019 in Pfunds Austria. 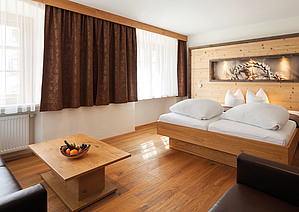 the Junge Posthotel with its traditional, rustic charm. The two houses are interconnected underground, allowing easy access to the respective building. Merchants welcome, on their journey across the Alps along the Via Claudia Augusta. 60 Alpine passes, within 300 kilometers of Pfunds, hundreds of different routes - where to start, where to stop? Enjoy hotel door starting hiking trails in the surrounding natural valleys of the Radurschltals. spoiled with selected regional products and delicacies at the 3-course dinner! The day begins with a varied, healthy breakfast buffet. The rooms are available from 3pm on the day of arrival and until 11am on the day of departure. Sign in under "Additional information for the organizer", thank you! Cancellation more than 1 month before the planned arrival is possible for free. From 1 month to 2 weeks before arrival 50% of the room price has to be paid. 2 weeks to 1 week before arrival, 70% will be charged. In case of cancellation within 7 days before the planned arrival or not arrival we charge 90% of the room price as a cancellation fee. Further information then in the agenda. We are looking forward to welcome you in Tyrol in 2019 and look forward to many nice passes ! !